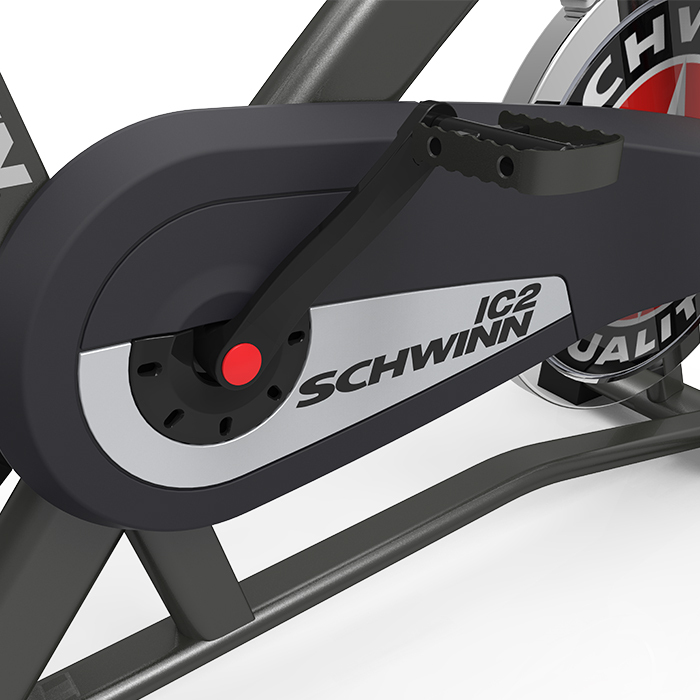 The Schwinn® IC2i takes everything you love about an invigorating outdoor cycling workout and brings it into the controlled comfort of your home. The innovative IC2i lets you adjust resistance levels in continuous increments to simulate hills—building strength and burning calories as you push towards your goals. Integrated bottle or MP3 holder. Easy-adjust pedals and outdoor cycling inspired Q-Factor. 14.1 kg flywheel and with high inertia, direct drive gearing. Oversized, corrosion-resistant steel tubing for a safe and sturdy ride. Long life wool felt pad gives smooth and even resistance.